Home Saver's Blog: Why Do I Have to Miss Mortgage Payments to Get Some HELP!? This issue has to be addressed NOW! I hope this message clears it up for many of you out there scratching your heads. You know, it really amazes me how many times I get a call from someone who is struggling to pay their mortgage, and tells me they have talked to their lender or some other loan modification company, and were told they need to miss a few payments in order to get some help. Well, we all know why the lender's may be communicating this to the distressed homeowner. Because they have too much on their plate. There's just not enough manpower to handle the amount of requests for loan modifications. So they will tell the homeowner they need to be late for them to take it seriously. Sounds like a good enough excuse right? WRONG! As for a lot of these "loan mod companies", what could their reason be to advise you to miss a few mortgage payments? Well, unfortunately, it's usually the same as to what the lenders are saying. But the reasoning is a little different. Did you know the majority of loan mod companies do not utilize Attorneys to negotiate for their clients? Let me tell you what this means. There is no negotiating. A package is submitted to the lender, which you can do yourself, by the way. The lender comes back with either a denial, a re-payment plan, or a "loan mod". These new terms are mailed directly to you from the lender. Do you see any negotiating in that? Nope. Basically, the so-called loan modification company is at the lender's mercy, just like you would be if you dealt directly with them. What if the new terms don't suit you? Well too bad, they did their job. That's what you most likely will be told. Now, with that being said, of course if you miss a few payments the lenders will see you as a direct threat as far as foreclosure is concerned. So these other mod companies have a better chance at getting a more suitable modification. It's not promised, though, because remember, these new terms will not be negotiated. On the other hand, if you have attorneys working on your behalf, what does their job consist of? Representing you, fighting for you, Negotiating. Attorneys use leverage meaning, they can present your case to your lender in a way that shows you have exhausted your savings, 401k, or credit cards just trying to pay your mortgage payment on time. They can also present them with proof of your hardship, finances, and budget which will build a profile for you and your unique situation. A forensic loan audit should be part of their services as well, which in most cases will add more ammo to your case. All of this, shows an immediate threat to your lender. Which means you will get better results with out having to damage your credit by intentionally falling behind on your payments. You can get help before you are late! I know what your next question is. Is it more expensive to hire an attorney based company than it is with a company who is not? The answer is.... no. Not with us it's not. In most cases we are more affordable. I can't speak for anyone else. But anyway, that's another topic. Here is another one of my blogs in retrospect to this one. Why Did My Lender Turn Down My Modification Application? Note: I present information to the public that is factual, and to the point. Many of you out there just want honest answers and to know who to trust with your most valuable asset. Sometimes, I won't tell you what you want to hear, but you will get the truth. There must be a first name to go with the initial C or perhaps you are incognito? Good info C! Yes my first name is Callie. I have the first Initial there for more personal reasons. Sorry to seem so "impersonal"! I talked with a person yesterday who works as a manger for Bank of America - in a department that deals with loan modification. He told me that under the program he deals with (Fannie Mae Backed Loans), missing a payment would probably knock you completely out of any chance for a modification. I write articles about credit issues for client blogs, so need to do more research and learn which programs are which! He also said that in California crooked loan modification companies are popping up all over - so there's someone going to jail for fraud connected with that "industry" nearly every day. They're taking people's money, advising them to stop making payments, and doing nothing to help them - at all. Sad that the vultures are always there waiting to prey on the weak or take advantage of a situation. Identity theft is also on the rise - no doubt as a result of the economy. This is an interesting situation and qutie the mess. I have seen hard working people who are never late on a payment, but on hard times, get denied anytype of refi or "loan modification". It is no secret that their business/ income is suffering, and to keep them functioning nothing would help more that a refi to 4.5% rather than the 8% they are paying. Especially those of us who are self employeed. Any of you Realtors jump in line for your re-fi and realize that you are self employeed? On the flip side I am also watching several people who purchased homes way out side their means with variable interest rates get a so called "loan modification" to 3%. What is that about? These people could never truly afford the home they purchase and most of them have not even made 3 years of timely payments? Sorry, I am bitter. Often it seems that the best thing to do is go in to default and get handed a re-fi/ loan mod rather than actually qualify....wait isn't it that type of lending that got us here in the first place? I have several clients who had construction loans (mostly with National City) and they completed their houses late, lost their 30 year financing and there is/was no product offered by the bank other than a two year interest only. Well...with property values in Southern California plummeting, what are these people looking forward to?? According to National City, there are thousands of people in this situation, but they won't put anything in writing to assure them of anything. They're sitting ducks. I am seeing many of these people short selling their houses or walking away because the properties are worth significantly less, there is no equity left to refinance and there are NO jumbo stated income loans anymore. These are scary times and yes, I'm a little bitter too. I have (had) a client that was told to stop making payments for a mod. And he did. He paid a few thousand dollars to the company offering him the mod and completed all the paperwork necessary. They told him everything was great and mod was approved. Problem was, they forgot to communicate with the original lender in a timely fashion and my client lost his house!!! Not a good situation! Callie, great post. I have some clients that would love to keep their home if the bank would accept a write down of the principal. But, they insist on a short sale and the bank will receive considerably less then the current owners would have agreed to. Callie - very good article. Thanks to Featured, your blog is presented to many of us. I was reading few of your posts and would love to re-blog one regarding the foreclosure procedure in Ohio. However you do not allow re-blogging. I wish I could spread your posts for the benefits of our readers. I'm curious. I have helped many clients renegotiate their mortgage...but have yet to have any rpincipal reduced (on a 1st note anyway.) Have you had any success with this? Do you work in UT ? I run into people all the time that I have no idea how to really help. I cant tell you how often I hear from a consumer that had somebody tell them to "stop making payments". Like that is going to create good will with your lender?? I have an idea, before we ask the lenders for a big favor, lets "pee in their pool" and see if that will soften them up to our situation! Anyone who tells a consumer to stop making their payments should be publicly flogged. People listen to that kind of nonsense, especially when times are tough and the so called advice is coming from a so called professional. Your service is the kind of thing that could build some serious good will with the consumer and keep alot of people from killing their credit and up-rooting their whole life. Keep up the good work C and help as many peole as you can. MARTE- Unfortunately there are fraud mod companies popping up everywhere. I will tell you this, the FTC is on the hunt and will bring them down. Consumers are getting smarter and becoming more leery which is good. It's time to look for facts and honesty, rather than trying to get a warm fuzzy feeling when searching for help. ROYCE- I know your frustration and have seen it in many people that I have talked to. Yes, it is true that lenders are turning away good folks who have fell on bad times but who still manage to stay current. But, the reasoning is a little different than what you think. They do not have enough manpower to handle all of the loan mod requests, so they usually will deny the people that have not fallen behind yet. The problem is, they don't advise you to seek outside help (hiring an Attorney). So, in most cases people give up and continue to struggle until finally there is no other alternative but to fall behind. This is why it's important to hire someone to help you with this. As for your comment about the people couldn't afford the original loan who are struggling and getting mod help. First I would like to say that you have to remember, the lender was willing to approve these loans. This is sometimes psychological for the home buyer. Originally they may have thought they couldn't afford it but talk themselves into going for it with intentions to get a 2nd job or an expected raise in the near future. There is a lot more to this subject but just remember these home buyers were seeking professional advice before making their final decision, therefore there are probably more people to blame for these bad loans. KRISTI- The foreclosure crisis has definitely resulted in a domino affect. LISSA- Unfortunately this happens a lot. It is important when researching a mod company or Attorney to find compassion. Otherwise, it just becomes another lost file. GABE- Seems a little backwards right? That they would consider a short sale and writing off the loan, rather than agreeing to reduce the principle, of course qualify them for the new payment, and at least make some interest off of it. It is very hard to get a principle reduction right now. But it does happen. Usually the lenders will go to any lengths to lower the payment to avoid cutting the principle down. I was thinking about this over the past few days. What is better for the bank, a loss on REO, or a reduced cash flow. This creates cash flow for the bank, albeit 20% less, a structured write down of an asset, a 20% reduction in mortgage payment for the homeowner. If 20% reduction isn't good enough for the homeowner to keep the home then this is a situation that they shouldn't have been in anyway. If the problem is caused by the homeowner lossing their job, then no modification would help. If the 20% reduction still isn't enough to keep a house from being "underwater", tough cookies. No one is refunding my 401K money that I lost in the dot com bubble burst either. Maybe the mentality of the banks is get the garbage off the books ASAP. Under TARP that is what was supposed to happen. The Treasury was going to purchase all the bad loans, bad paper, day old coffee, whatever.. from the banks. It never turned out that way and never will. If the banks were told that the govt spigot has been turned off, fend for yourselves and figure it out, they would. Svetlana: I am not too familiar with the reblogging method. I will look into it and may just allow it. Bookmark my Ohio page and keep an eye out. I will try to get it done this weekend. Thanks! Jeff: Principle reductions were easier about 6 months ago. However is becoming more of a strain to negotiate this. But it does happen. Usually the lenders will go to any lengths to lower the payment to avoid cutting the principle down. Short refi's almost don't even exist. Joe: Yes I can help people in Utah. I could probably assist you as well. To qualify for a loan mod you have to have a hardship and documented income. As I said earlier, it is hard to obtain a principle reduction, but there are other methods to reduce the payment. The purpose of a loan mod is to reconstruct the loan to make it affordable for you. Michael: Well said. Thank you for that informative comment. I couldn't have said it better myself! I would not advise a client to skip payments. At the same time I think issues vary lender to lender. I honeslty beleive that those that skip payments may get better modes. Most modes negotiated directly by the borrowere are not sufficient. If you are able to make the payments why would the bank give you a significant mode? I don't trust banks, but I also struggle with the new gaggle of loan mod experts. True.. issues vary from lender to lender. 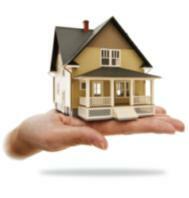 The actual asset of the mortgage sits in different hands, though GNMAs, Fannie Mae Bonds, REITs, etc. The holders of those securities (securitized mortgages whether it be principal only sold at a discount, interest only sold as a stream of payments or both P&I) will need some tax relief to be able to absorb their loss. What's another form or two in our bloated tax system anyway. Greater minds than mine can figure out what gets tax credits and how much. And remember, these securitized mortgages aren't evil. They were designed to allow cash to flow from cash rich regions of the country to cash poor regions of the country so people could buy homes all over the country. I have been told by some mod experts & short sale experts that missing payments is not required. But paying on time in the 1st 15 days of the month is not going to get the banks attention either. What these 2 sources have observed is that if the payment is made late in the month so it is late with the bank, but not 30 days late, it places the person in a higher risk catagory. You don't want to be 30 days late because that is when it hits your credit. It appears that the hardship claim is supported by late payments less than 30 days to a point where it is helpfull in the mod or short sale negotiations. Banks giving out bad advice? They would never tell folks to stop making their payments...right? Unless...maybe they don't actually care...could that be? Maybe the banks are not even serving themselves well...consider the outrage of most bank industry stockholders (That's who they should be serving) who are not being served well by the banks irresponsible behavior when it comes to foreclosures and short sales. I think it stands to reason that if a bank behaves so irresponsibly with it's money and the stock holders investment in them...why on earth should they serve the public or their customers well? What's the downside actually? They get billions of dollars in bailout money...ouch, that must hurt! If you don't straighten out, I'm going to have to really get mad at you and give you billions of dollars...so you just watch it buster! If I was a bank stockholder...heads would fly at the next annual stockholder meeting! Still...they can always go to Uncle Sam for BILLION$ more! Seems difficult to see why they'll ever straighten up and fly right...what's the actual motivation to do better here? It's a bit like a child who behaves poorly and a parent punishing the child for their poor behavior...with flipping CANDY! Carol...I like candy too...but just send me the Billions for now! Thank you for this post. It still doesn't answer the question as how to advise our clients. I would be curious to know how many people just walk away not because they can't make the payments but because of the loss of property value compared to those who truly can't make the payments. Too bad there is such fraud out there. Professionals and homeowners alike who abuse the system. Here in California lenders usually have recourse if the original loan was refinanced. Nice post, Callie. I hope those with mortgage payment issues take the extra steps to find a company like yours to help themelves.